Brendon Hartley takes the title! As Jon Lancaster (SG Formula) claimed his third race win of the season here today, Brendon Hartley (Epsilon Red Bull) secured a third-place finish behind his teammate Mika M0x00e4ki. 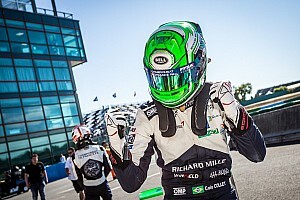 The New-Zealander thus adds his name to the illustrious list of Eurocup winners, following in the footsteps of Felipe Massa (2000), Scott Speed (2004), Kamui Kobayashi (2005) and Filipe Albuquerque (2006). 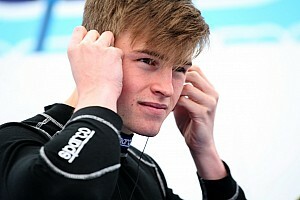 His prize is a 200,0000x20ac grant, which will finance his participation in World Series Formula Renault 3.5 next year. In a replay of yesterday, Jon Lancaster made an impeccable start from pole position. The Englishman went into the first bend in the lead, followed by Mika M0x00e4ki (Epsilon Red Bull). Roberto Merhi (Jenzer Motorsport) and Miguel Juli0x00e0 (Epsilon Euskadi) were the only victims of the opening lap. Jon Lancaster wasted no time in putting some open track between himself and Mika M0x00e4ki, who found himself under pressure from his teammate Brendon Hartley. Hartley was followed by Henki Waldschmidt (Prema Powerteam), Alexandre Marsoin (SG Formula), Mihai Marinescu (District Racing), Stefano Coletti (Epsilon Red Bull), Jaime Alguersuari (Epsilon Red Bull), Charles Pic (SG Formula) and Aleix Alcaraz (District Racing). Determined to defend his second place in the overall standings, Pic overtook Alguersuari on lap 3. 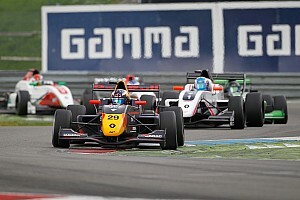 The Spaniard, who was hindered by a damaged front wing, then had to contend with pressure from his fellow countryman Alcaraz, as well as Nelson Panciatici (Boutsen Energy Racing) and Frank Kechele (Motopark Academy). Alcaraz and Panciatici both managed to pass Alguersuari before his wing came loose, spraying debris onto the track, and the Epsilon driver pulled into the pits to get his nose cone replaced. Meanwhile, Lancaster was in total control, earning an extra point for the fastest race lap. After six laps, he was 2.4 seconds ahead of M0x00e4ki, who still had Hartley hot on his heels. The New-Zealander was well aware that third place would be enough to secure him the title before the final two races of the season in Barcelona! Further back, Waldschmidt, Marsoin and Marinescu were engaged in an absorbing battle for fourth place. Panciatici and Kechele, meanwhile, were fighting it out for tenth position. The German driver had to wait until lap 14 for his opportunity to sneak past the Frenchman. Marinescu launched one last attack on the final lap, snatching fifth place from Marsoin. Jon Lancaster: "Two pole positions, two race wins and the fastest lap in both races: I couldn't have dreamed of a better weekend. It's fantastic, as this is only my first season in single-seater racing. I hope I can hold onto my second place in the Eurocup in Barcelona!" Mika M0x00e4ki: "It's good to be back on the podium. I had some problems with the car yesterday. That was fairly typical of the way things have gone for me this season: I've rarely been in a position to challenge for the top places." Brendon Hartley: "This is a fantastic moment for me! I had a bit of a problem with my engine this weekend, which prevented me from challenging for the win, but that will be sorted out in time for Barcelona, and I'd like to celebrate winning the championship with one or two more race wins!" 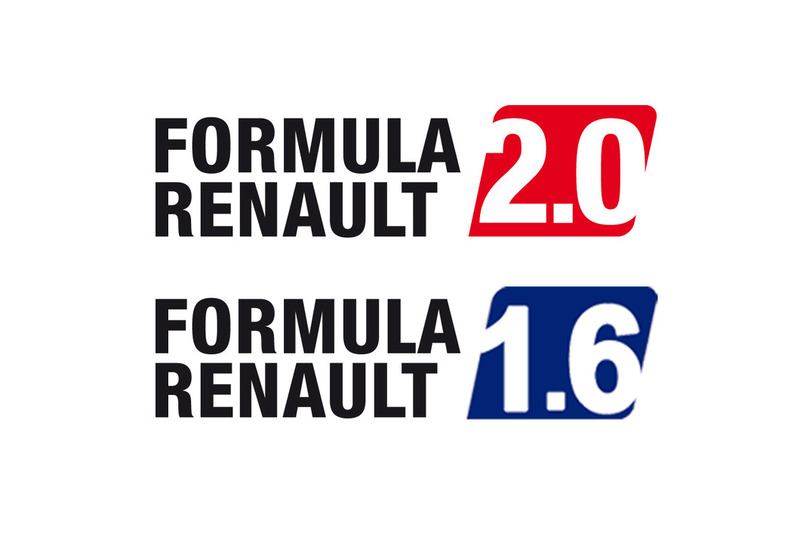 Formula Renault NEC shuts down, blames "ill-conceived FIA plans"